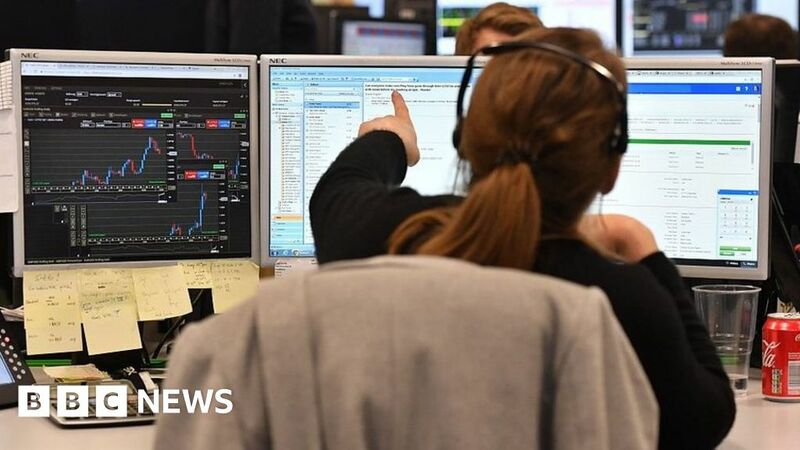 UK shares have fallen sharply in morning trading, dragging the FTSE 100 index to its lowest level since December 2016. Both London and major European markets were down more than 2% as a sell-off that started in Asia gathered pace. Worst-hit sectors included miners, oil companies, carmakers and tech stocks. Analysts said the arrest of Chinese telecoms giant Huawei’s chief financial officer in Canada had revived worries over US-China trade tensions. By mid-morning, London’s 100-share index was down 2.6% at 6,744 points, while the Cac-40 in Paris and Frankfurt’s Dax were both 2.4% lower. Among the biggest fallers in London were mining firms Antofagasta, down 5.8%, and Glencore, which fell 4.9%. Earlier, Asian markets also sank, with Tokyo’s Nikkei shedding 1.9% and the Hang Seng in Hong Kong falling 2.5%. “Investors are back in risk-off mode, with markets falling in the UK, mainland Europe and across Asia,” said Russ Mould, investment director at AJ Bell.